Here’s a YouTube clip (embedding disabled) from a short film by preacher Estus Pirkle called The Believer’s Heaven. In this clip, Pirkle gives details about what heaven will be like with heavenly dramatizations complete with a godlike echo-drenched voiceover. Airbus A380 evacuation – 873 people in 77 seconds! Hamburg, Germany, 26. March 2006. With only 8 of the 16 exits opened, the task for this evacuation certification was to evacuate 853 passengers and 20 crew in 90 seconds. This all happened in darkness, the footage is from infrared cameras. Don Larsen, chairman of legislative District 65 for the Utah County Republican Party, had submitted a resolution warning that Satanâ€™s minions want to eliminate national borders and do away with sovereignty. SANTA ANA, Calif., April 25 â€” Anyone convicted of a crime knows a debt to society often must be paid in jail. But a slice of Californians willing to supplement that debt with cash (no personal checks, please) are finding that the time can be almost bearable. For offenders whose crimes are usually relatively minor (carjackers should not bother) and whose bank accounts remain lofty, a dozen or so city jails across the state offer pay-to-stay upgrades. 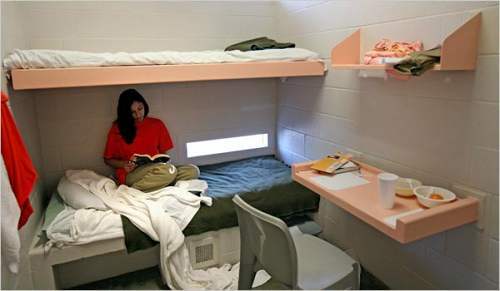 Theirs are a clean, quiet, if not exactly recherchÃ© alternative to the standard county jails, where the walls are bars, the fellow inmates are hardened and privileges are few. Many of the self-pay jails operate like secret velvet-roped nightclubs of the corrections world. You have to be in the know to even apply for entry, and even if the court approves your sentence there, jail administrators can operate like bouncers, rejecting anyone they wish.